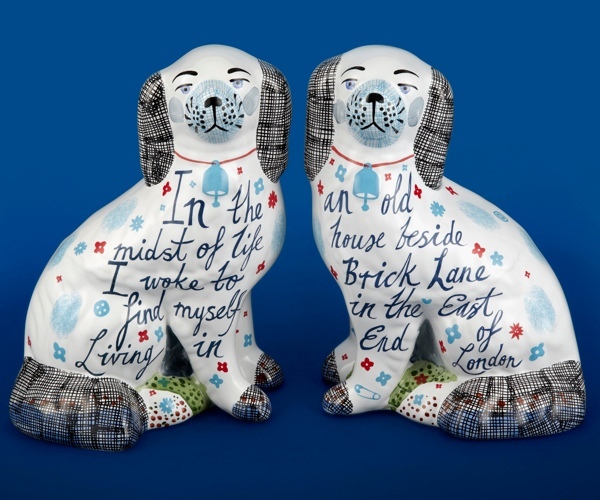 Today, I published blogs by two alumni of the Spitalfields blog course, A London Inheritance and Bug Woman London. If you are contemplating starting your own blog in 2016, there is still time to sign up for the course on 30th & 31st January. Scroll down for further information. 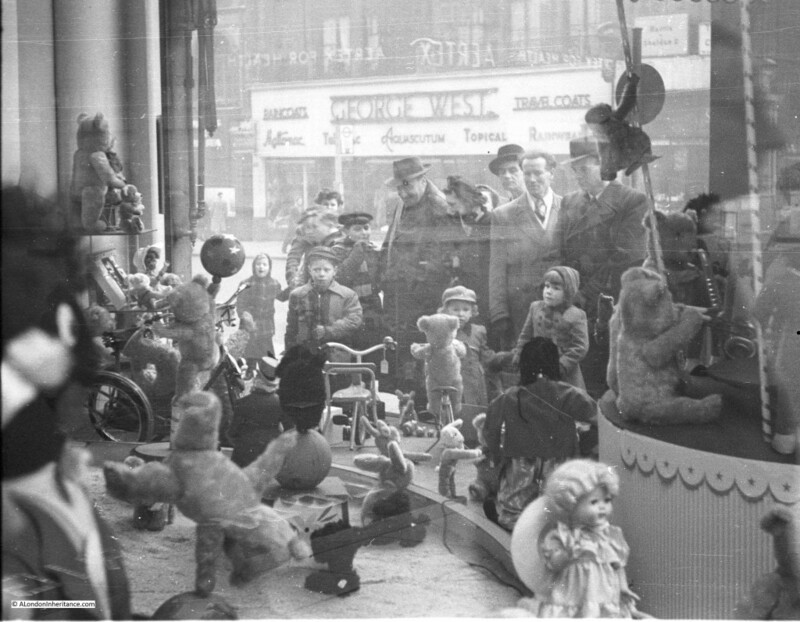 My father was born in London in 1928, lived in the city throughout World War II and took photographs of the capital from 1946 to 1954. These show a city which has changed dramatically and, through A London Inheritance, I document my exploration of London, using his photographs as a starting point, trying to identify the original locations and show how the buildings, streets and topography of the capital have developed. 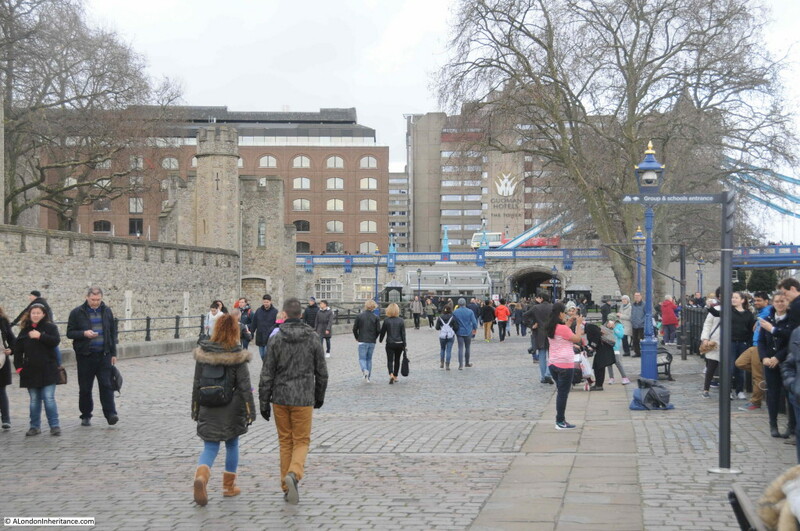 I walked down to the Tower one Sunday to see how much had changed. The majority of the cannon have been removed, although a couple remain, looking rather sad up against the approach to Tower Bridge at the far end of the photo. I do not know when they were removed or why, I can only guess. Perhaps Health & Safety considerations? Although falling was an accepted risk of climbing anything as a boy. 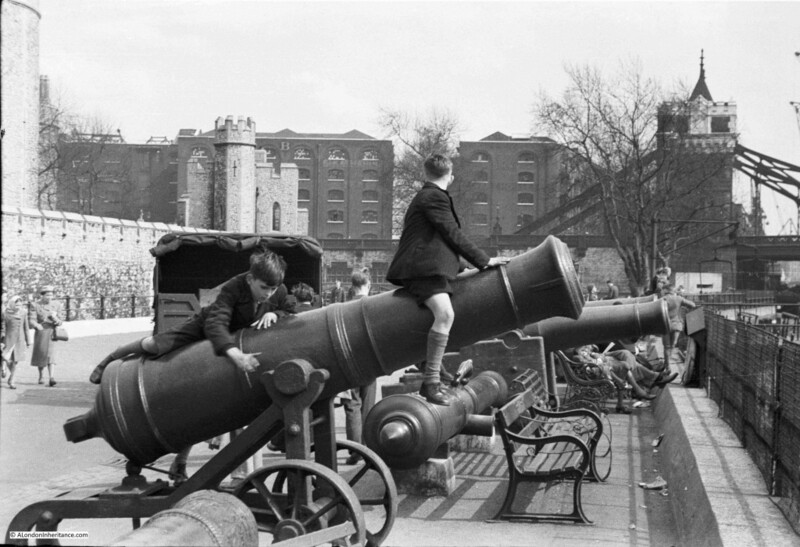 An understandable reason could have been damage to the cannon. Making more space in this area is possible, as it really does get crowded at the peak of the tourist season. Or perhaps the fact that they all seemed to be pointing directly at City Hall on the south bank of the river may have made certain occupants rather nervous? Whilst the majority of my father’s photos came to me as negatives, a number were printed, and of these some had the location written on the back. 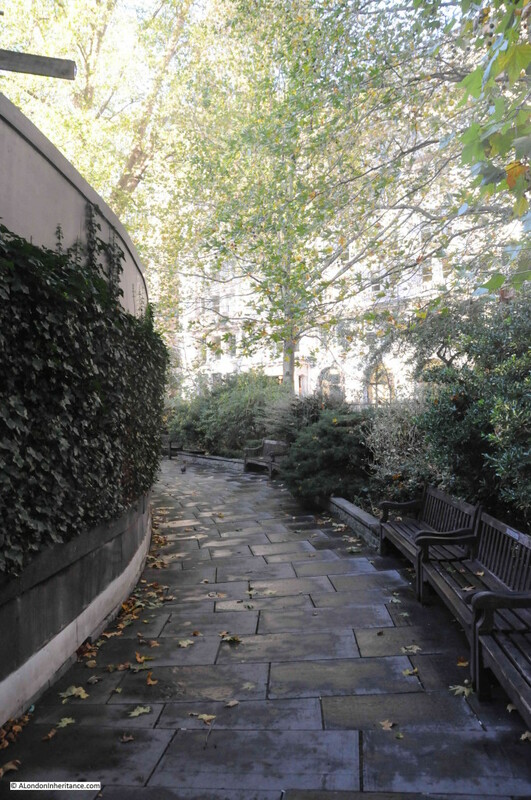 On this photo, my father had written the simple title “Autumn in Finsbury Circus.” Taken early in the morning, it shows autumnal light shining through the trees with the first fallen leaves on the path. 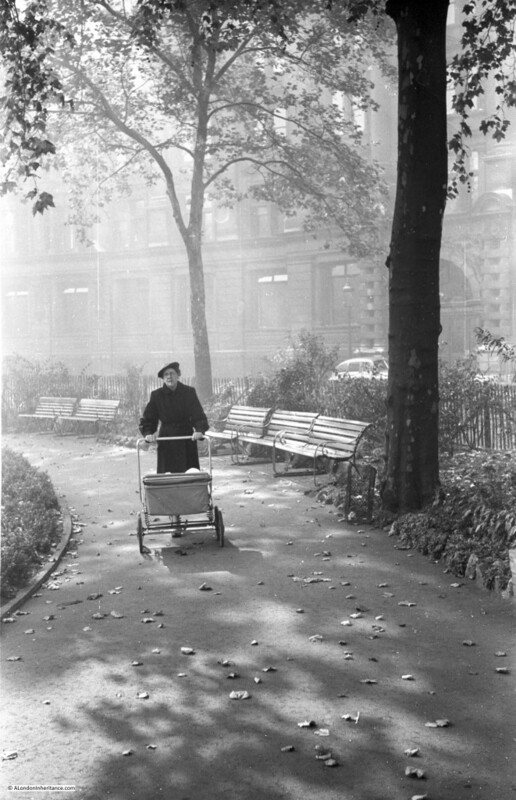 I suspect that he had taken this photo for a competition at the St. Brides Institute Photographic Society as it has a more composed quality than the straight-forward recording of buildings and streets. To try and find the location of this photo, a day off from work provided the opportunity for a walk around London. Finsbury Circus is much the same today, with one significant exception being that it is a site for Crossrail, however parts that remain open show that not too much has changed (if you ignore the major construction to your left). My father’s photo of the Lamb & Flag in Rose St, Covent Garden, was taken in 1948. 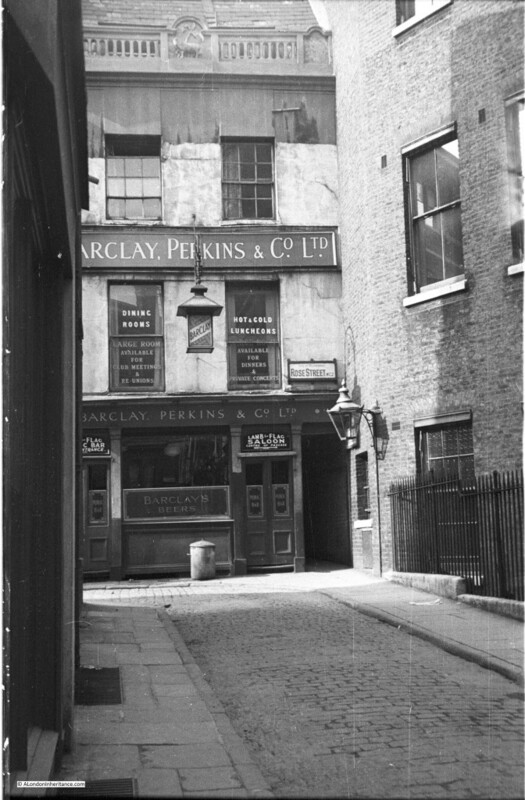 Barclay, Perkins & Co. Ltd operated from the Anchor Brewery in Park St, Southwark, originally founded in 1616, and becoming Barclay, Perkins in 1781 when John Perkins & Robert Barclay took over. Barclay, Perkins & Co merged with Courage in 1955 and the brewery closed in the early seventies. 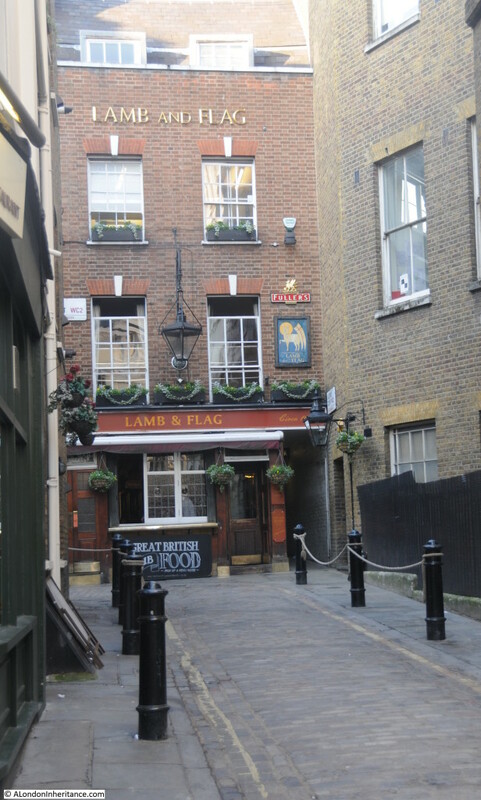 The Lamb & Flag occupies one of London’s older buildings. It was originally built at the same time as Rose Street in 1623 and much of the original timber frame survives, although the front was rebuilt in 1958 as can be seen in my photo. The rebuild lost many of the original architectural features including what appears to be a parapet running the width of the building with a carving of the Lamb and Flag at the centre. The ‘lamb’ is from St John, “Behold the Lamb of God, which taketh away the sins of the world” while the flag is that of St George. The pub was also once known as the ‘Bucket of Blood’ due to links with prize fighting. Bug Woman is a slightly scruffy middle-aged woman who enjoys nothing more than finding a large spider in the bathroom. She plans to spend the next five years exploring the parks, woods and pavements within a half-mile radius of her North London home, and reporting on the animals, plants and people that she finds there. She will also be paying close attention to the creatures that turn up in the garden and the house. She promises to post every week on a Saturday, and more often if she can tear herself away from the marmalade making. She looks forward to finding out what’s happening in your half-mile. Although I usually write about the wildlife outside my house, today I would like to share some tales with you about the creatures that we actually select as our companions. My husband and I began to foster cats for the Cats Protection League back in 2008, because for me a house without a pet is not a home. 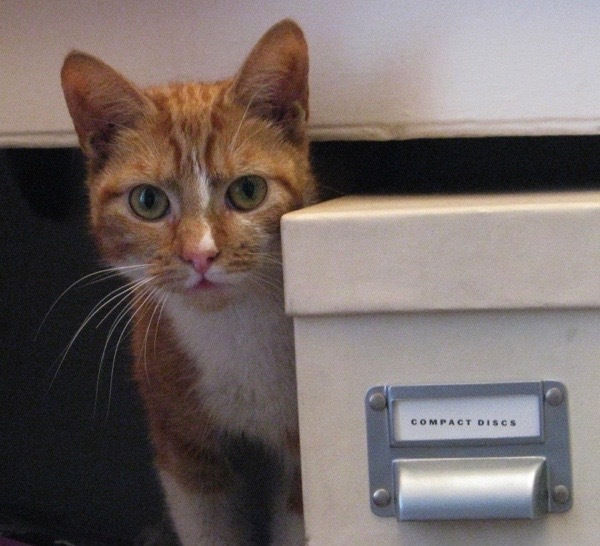 During our five years of fostering, we looked after nearly eighty cats and learned a lot about non-attachment, about how every cat is different, and how tolerant it was possible to be in the face of feline bodily fluids. We also developed a clear idea of the kind of cat that we would want to adopt. 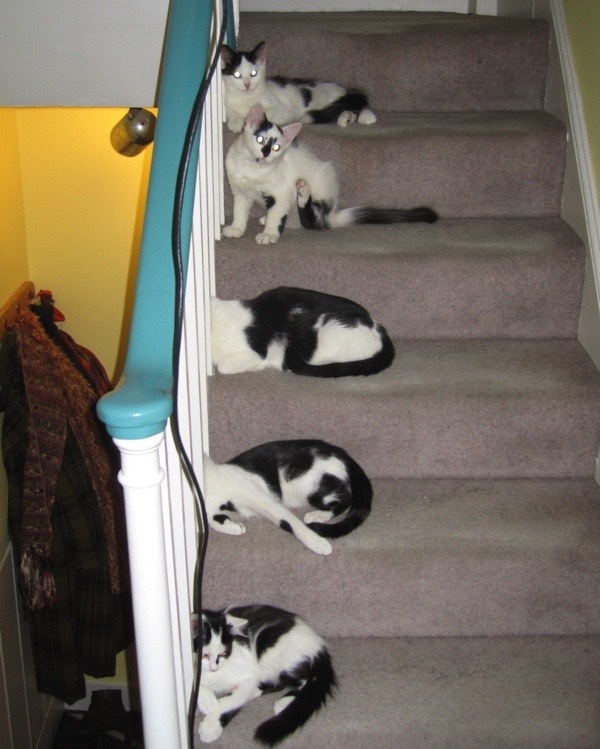 So here, in no particular order, are some of the cats that were in our care, sometimes for weeks, sometimes for months. We looked after Rosie when her owners went away on holiday. 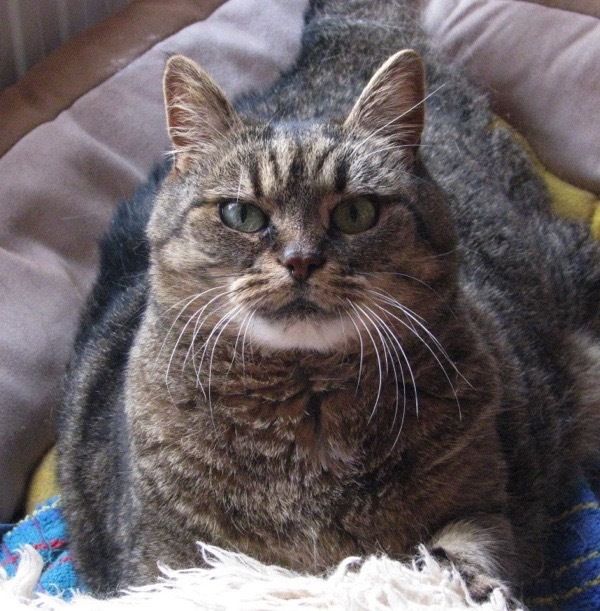 She was a cat with quite severe disabilities – she could not stand up, and had to be helped to her litter tray a couple of times a day. She would always let you know when she wanted to go, which was generally at the human-friendly times of 8:00am and 6:00pm. 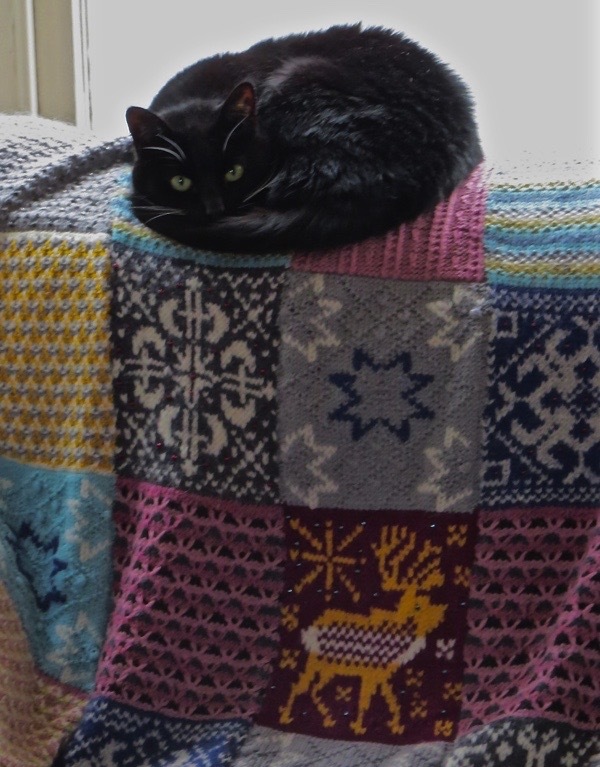 She was a very perky cat, interested in everything that was going on, and loved to sit on the sofa next to you or to be picked up for a cuddle. She also loved other cats, but they generally knew that there was something wrong with her and would avoid her. Until, that is, her owner adopted another little cat who had been through the most horrific abuse I had ever heard of. He loved Rosie on sight, and would cuddle up with her in her basket – maybe she reminded him of his mother, or maybe he just recognised another cat that wasnot able to deal with the world around her on her own. At any rate, the two of them were a comfort to one another throughout their lives. Rosa was the only cat who gave birth to her kittens in our house. And what an event it was! We had prepared several places for the big event, but of course she had her babies squeezed between the bookshelf and the radiator, on the 4th November. On the 5th November there was a Guy Fawkes party in the street, with deafening explosions and shouting and general carry-on, but she stayed firm despite it all. When the kittens first came out from their hiding place after a few weeks, she spent a lot of time trying to corral them by tapping them with her front feet, like a footballer trying to dribble the ball, but eventually she gave up and let them start to explore. We felt like proud parents! Tabby was a lynx in miniature. Look at the size of those paws! 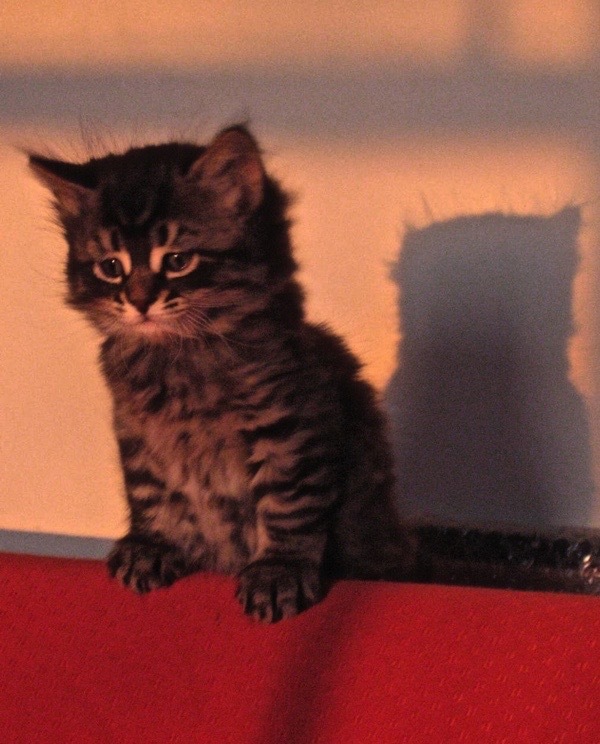 He grew to be enormous, and was the gentlest kitten we ever looked after, happy to lie in your arms like a baby. Colette was rescued from a house fire – in fact, the cat carrier in which she was saved was melted like a Salvador Dali painting. She smelled of smoke for days and also had a brutal flea infection. She made a quick recovery – however – and was soon off to her new home, where – hopefully – they had made sure the wiring was not a death-trap. 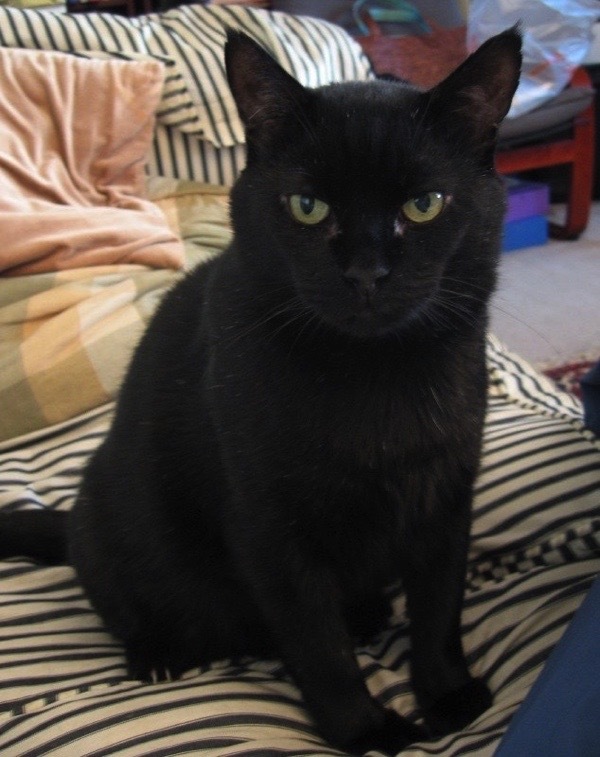 Galaxy came to us with a terrible throat lesions, an allergic reaction to his vaccinations and a general air of depression. Mother cats who are not vaccinated can pass calicivirus onto their kittens, which leaves them with a lifelong tendency to throat and mouth inflammation. Galaxy’s throat was so painful that there was some talk of putting him to sleep if the situation did not improve, and so we spoilt him horribly. We let him slept on our bed, in spite of his snoring. He got all the best food. We put up with his outrageous flatulence. And, lo and behold, he gradually improved, and was finally (after a year) re-homed with a wonderful lady who gave him venison and wild boar at Christmas, and did not mind him sleeping in her potted plants on the patio. He lived for another five years, and was so cherished that he was frequently featured on his owner’s Christmas cards. 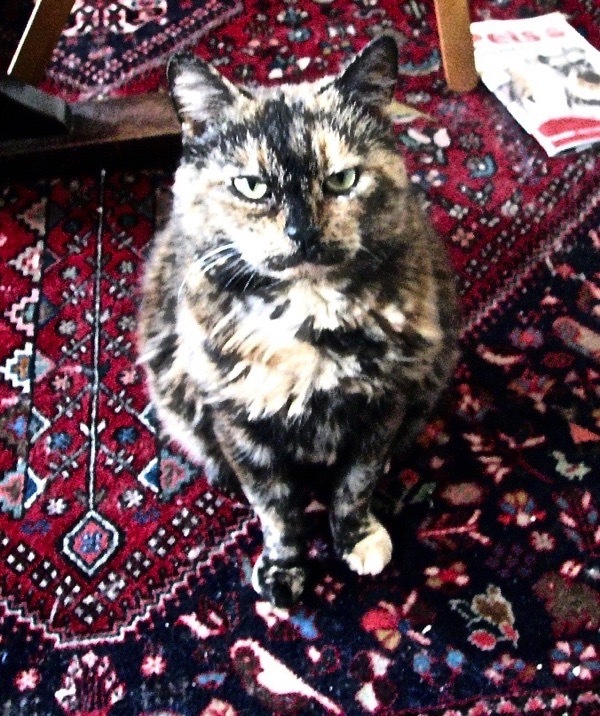 Honey was a most unfortunate-looking cat. She was as round as a beach ball and had a most disapproving expression (not helped by her moustache). However, she was an affectionate cat, and would sit beside you, purring like an idling engine. If you did not stroke her, she would reach out with one paw and place it on your arm until you produced the desired caresses. If they stopped, she would pause for a moment and then apologetically reach out again. Eventually, she found a home with someone who could see past her unfortunate looks to the characterful creature beneath. Mocha & Latte were described to us by the people at the cat shelter as ‘the Cappuccino Kits’ but they arrived as two lively adolescent lunks, with all the social graces of a troop of teddy boys. One afternoon, Latte decided to run up our full-length sitting room curtains, and, before I could stop him, Mocha tried to do the same. Unfortunately, Mocha was twice the weight of Latte and so the entire curtain rail, complete with an enormous chunk of plaster, came out of the wall, leaving a cloud of dust. Suffice to say that they were both in hiding for at least five minutes before they ventured out to inspect the damage. Talking of adolescent lunks, Lee was our first teenager, and were a whole heap of trouble. 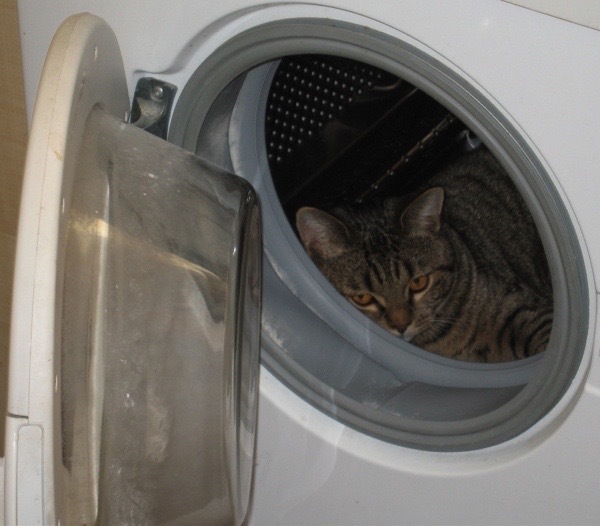 Lee was forever jumping out of open windows, hiding on the top of bookcases and, on one occasion, getting into the washing machine. So what do you think happened when we finally decided to adopt? Was it a big tough tomcat, full of personality and affection? Umm, no. Our last two foster cats were a brother and sister: a big tough tom, and an extremely shy little female cat. The big tough tom was adopted out to Gerrard’s Cross, to a man who owned a stable full of show jumpers and who did not mind if his cat wanted to sleep on the bed. This just left the female, who, up to then, had spent her whole time hiding behind the sofa. John and I wondered who, on earth, would ever adopt a cat who never showed herself. The months went on. 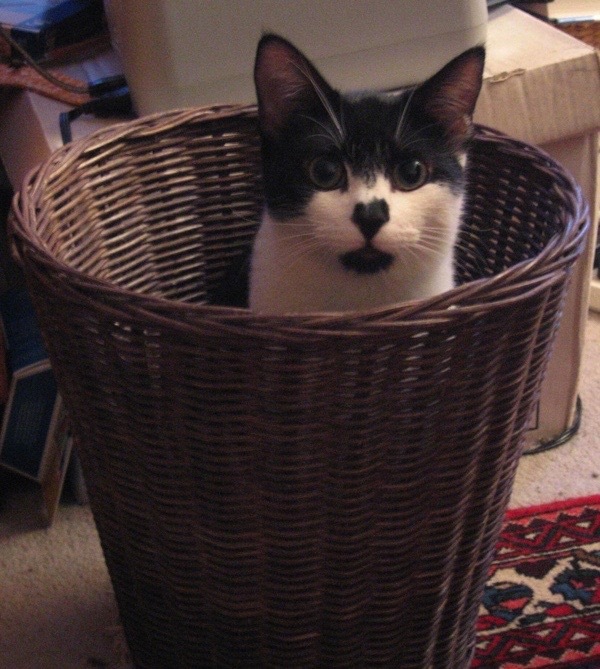 Nobody wanted a very ordinary little black and white scaredy cat. And yet, we had started to notice that she was not such a scaredy cat any more. She liked to be brushed, for just a minute or so at first. Eventually, she would demand to be brushed, and complain when you stopped. We stopped thinking about her in terms of “Who else will adopt this cat if we don’t?” and started to realise that, for us, she was ideal. She did not hunt and kill the creatures in my garden. She respected our sleep time. She did not have any strange problems with food. She did rip the sofa to shreds. So, Gentle Reader, we adopted her, and put away all notions of the cats that we thought we wanted, in favour of the one that we actually did. The course will be held at 5 Fournier St, Spitalfields on 30th & 31st January from 10am -5pm on Saturday and 11am-5pm on Sunday. Lunch will be catered by Leila’s Cafe of Arnold Circus and tea, coffee & cakes by the Townhouse are included within the course fee of £300. 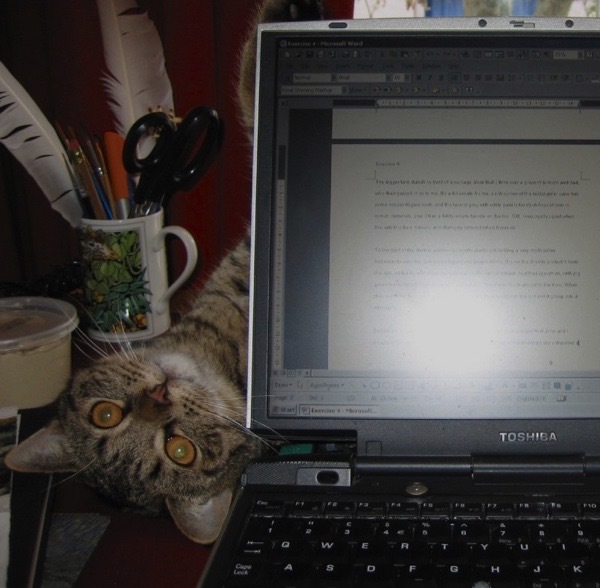 I shall have to send you an off-line e-mail with pictures of Ratatosk, my lilac-point Birman tom-kitten (he’s 7 & masses 6 kg) – & gets behind the computer ….. Thank you for showcasing these two fine bloggers who I have been corresponding with for sometime. They both tackle Very different subjects but both write such informative and knowledgable posts. I recommend following them both!! Are you running another course soon? In February – wishful thinking?